Christine Grimaldi Clarkson served as the Development and Membership Director from 2015-2018 and was instrumental in the creation and development of the California Rock Art Foundation. Christine was elected by the Board to be the Executive Director of CRAF in March 2018. Christine is an anthropologist and Registered Professional Archaeologist. She received her B.A. in Anthropology with a minor in Art History from the University of California, Davis, and her M.A. in World Cultures with an emphasis in Archaeology from the University of California, Merced. She is currently employed as an Instructional Support Technician for the Merced College Anthropology Department where she functions as the Lab Technician, NAGPRA Coordinator, Curator, ​and Archaeology Field Supervisor. Christine has been researching and conducting archaeological work in Central California for over 20 years, and also pursues interests in Southwest and Mesoamerican archaeology. Her research has led to the discovery and documentation of an ancient astronomical observation area created by Native Americans in Central California. Articles on this subject have been published in SCA Proceedings and Rock Art Papers. Christine’s research interests include rock art, sacred space, landscape archaeology, archaeoastronomy, indigenous religion and cosmology, ethnoarchaeology, prehistoric population movements, bioarchaeology and biological anthropology. ​Dr. Alan Garfinkel Gold is a California and Great Basin anthropologist and archaeologist. He is currently the Principal Archaeologist for UltraSystems Environmental. Dr. Gold has authored five books including Prehistory of Kern County, Archaeology and Rock Art, and the Handbook of the Kawaiisu and has formally published 47 scientific articles in various academic journals. He is the recipient of both the 2008 and 2011 California State Governor’s Award for Historic Preservation. Alan has focused his research interests attempting to better understand the rich and complex archaeological record of the far Southern Sierra Nevada, Tehachapi Mountains, western Mojave Desert, and southwestern Great Basin. He has concentrated his focus on the research areas of linguistic prehistory, prehistoric population movements, forager religion, animal ceremonialism, and Numic Ghost Dance paintings. Most recently he has framed his studies in close collaboration with Native peoples of the area and has applied their cultural constructs and unique perceptions into interpretive schemata for local rock art. Donna Gillette is a native Californian with a lifetime love of California history. This interest was nurtured while volunteering as a Moveable Museum Docent for the Los Angeles Natural History Museum, giving talks on California History in 4th grade classrooms. This interest continued to develop and she received an M.A. in Anthropology from California State University Hayward (now Eastbay), and her Ph.D. from the University of California, Berkeley. While her research has focused on rock art, her dissertation was a contextual study looking at prehistoric movement across the landscape of the Hopland Research and Extension Center, in Mendocino County, which has 5 sites of the rock tradition that she has focused on for the last 20+ years – the PCN (Pecked Curvilinear Nucleated) tradition that is found throughout the Coastal Ranges of California. Donna has been on the Board of the American Rock Art Research Association for more than 15 years, and was a member of the Bay Area Rock Art Research Association while living in the Bay Area. She has presented numerous papers on rock art at local, national and international conferences and has published several articles in journals. She recently served as lead editor on a 2013 Springer publication – Rock Art and the Sacred Landscape. Donna currently donates her archaeological services to the DANA Adobe in Nipomo. Ryan Scott Gerstner is a North American archaeologist with five years of experience doing cultural resource management in the western United States. He received his B.S. in Anthropology from Utah State University, Logan, in 2015 with an emphasis in cultural resource management and archaeology. He has conducted fieldwork throughout Utah, Wyoming, Colorado, Idaho, Montana, Florida, and California, and has experience in survey, excavation, monitoring, and laboratory work. ​His interests in rock art began in western Colorado, where he documented rock art sites for the Ute Trails Project, and has since gone on to study the rock art of southern California. Ryan is currently a petroglyph guide through the Maturango Museum, where he leads California Rock Art Foundation field trips to Little Petroglyph Canyon on Naval Air Weapons Station China Lake. He has a diverse range of expertise including Geographic Information Science applications for archaeological research and curation of archaeological collections for state museums. Ryan also has paleontological expertise conducting faunal identification and analysis on large-scale university excavations. His fieldwork experience includes private, municipal, county, state, and federal survey, excavation, and monitoring projects. Paul Goldsmith has been shooting film for 50 years. He studied film at New York Univeristy and the first film he photographed won an Emmy. He lived and worked as a cinematographer in NYC making documentaries and films for Public TV. He moved to California in 1974 where he filmed music videos and television (MAX HEADROOM) before breaking into features (SHOCK TO THE SYSTEM, Michael Caine, KILLING TIME, Kiefer Sutherland). After he got married and started a family (four daughters) he left features because they required him to be on location endlessly and began to film commercials. For many years he had at least one broadcast during the Super Bowl. Paul was elected a member of the American Society of Cinematographers, won a cinematography Emmy for a National Geographic he photographed (DON’T SAY GOODBYE), and a feature documentary (WHEN WE WERE KINGS) he shot won an Oscar. His interest in Native American history was piqued when he worked as the director of photography on a series of films on this topic for PBS (WE SHALL REMAIN). Paul has always worked as a director-cameraman but recently has begun making his own films as well. An independent documentary that he made with the Santa Barbara Museum of Natural History was acquired and broadcast by KCET. This film, SIX GENERATIONS, told the story of the women in one Chumash family stretching back to First Contact as recorded by oral history and anthropologist John Peabody Harrington who lived with the family off and on for 49 years. Only three films a year are acquired from independent producers by KCET and the story was retold in a front page (COLUMN ONE) article by the LA Times. Paul's next film was TALKING STONE, ROCK ART OF THE COSOS which he made in concert with Alan Garfinkel Gold. It tells the story of the remarkable canyons of petroglyphs on the China Lake Naval Base. It was broadcast by PBS SoCal. That film in turn generated a book of the same name published by the University of Utah Press. Elected to the Board February 2019. Bio coming soon. ​Bill Hyder retired from the University of California, Santa Cruz after serving in a variety of academic administrative roles. He received M.A.s in Political Science and Anthropology with an emphasis in archaeology from the University of California, Santa Barbara. His master’s research focused on Chumash rock art. In addition to conducting research projects for the National Park Service and California State Parks, Bill is a past president of the American Rock Art Research Association (A.R.A.R.A.) and a research associate of the Santa Barbara Museum of Natural History. He has authored, co-authored, or edited eight rock art books and monographs and two numismatic books in addition to twenty-five articles in various publication and conference proceedings. Bill’s current research focuses on Basketmaker art of the Cedar Mesa and is exploring blending poetic voice with scientific analysis in the study of rock art. Behind the scenes, he quietly promotes young archaeologists who represent the future of our science and the work of photographers who bring a fresh eye to sharing our appreciation of rock art. As an archaeologist specializing in the Late Holocene and Spanish Colonial eras in Central California, Linda Hylkema has been worked for the past thirty years as an archaeologist for various agencies including the U.S. Forest Service, U.S. Bureau of Land Management, Cal-Fire (CDF), California State Parks and numerous Cultural Resources Management (CRM) firms. She has written dozens of archaeological survey and data recovery reports, has published articles in the Society of California Archaeology Annual Proceedings, American Indian Rock Art, Santa Clara County Connections, Historical Archaeology, California Department of Forestry Archaeological Reports, co-authored Uncovering and Interpreting History and Archaeology at Mission Santa Clara, published by Lulu Press, and in Beneath the Ivory Tower: the Archaeology of Academia, published by the University of Florida Press. Formerly the Assistant Campus Archaeologist and Manager of the Archaeology Research Lab (ARL) at Santa Clara University, she is now the SCU’s University Archaeologist and Cultural Resources Program Director. During her nineteen-year tenure, Linda’s main priority has been overseeing the mitigation of archaeological resources on the university campus as a result of various construction projects. She also supervises the Archaeology Collections Manager of the vast artifact collections, overseeing their conservation and curation with the assistance of student lab technicians. She received a double BA in Psychology and Anthropology from San Jose State University, and her MA from California State University, Hayward in 2005. ​In her spare time, she enjoys outdoor activities like kayaking, gardening, hiking, rock hounding, and camping with her son and family, as well as catering to her two golden retrievers. She also works closely with several private land owners in the Diablo Range recording prehistoric sites on their ranches and is on the Advisory Board for the Friends of Historic San Antonio Mission. ​Steven Imhoof's practice focuses on land use, environmental, and natural resource issues related to land development. He advises residential, commercial and utility clients on a wide range of land use and environmental issues including land acquisition due diligence, project entitlement, permitting, endangered species, state and federal jurisdictional waters and wetlands, CEQA/NEPA compliance, and cultural/historic resources. In addition, he advises clients regarding the development impact of regional habitat conservation plans, including the Western Riverside Multiple Species Habitat Conservation Plan (MSHCP) and San Diego Multiple Species Conservation Program (MSCP). Steven also has extensive experience representing developers in federal litigation under the federal Endangered Species Act. Currently he assists residential and commercial developers regarding a wide range of entitlement, permitting, and environmental issues. 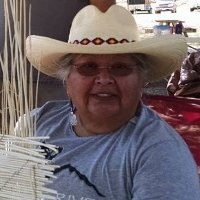 Nicola Larsen is a Chairperson for the Tule River Tribal Elder's Council, as well as an Association Board Member of the California Indian Basketweaver's Association where she is responsible for the annual basketweaver's gatherings. ​Eric Ritter Received his B.A. in Anthropology from the University of Arizona and his M.A. and Ph.D. in Anthropology from the University of California, Davis. Currently he is an archaeologist with the Bureau of Land Management, an adjunct professor in archaeology at Shasta College, founder of Las Californias Heritage Research Group, and a Visiting Scholar at the Archaeological Research Facility, University of California, Berkeley. Eric has conducted archaeological work throughout California, Baja California and the Great Basin (and a few other locations as well) for over 50 years. His anthropology/archaeology/ethnography publications in various journals and books exceeds 100, and he has completed hundreds of technical reports as well. He is the recipient of the Society for California Archaeology’s Lifetime Achievement Award, BLM California Archaeologist of the Year award, the University of California, Davis Parent of the Year award, and other honors. His primary interests are in hunter-forager archaeology, rock art, geo-archaeology, historical archaeology, and cultural resource management. F. Rene Van De Carr, M.D. Elected to the Board January 2019. Bio coming soon. To email a Board Member, click on their photo or name. ​Serving as a resource for the academic community, private developers, government land managers, Native American and historic preservation groups, and environmental professionals. Helping government agencies and their staffs, developers, and landowners to understand their obligations and opportunities to competently manage rock art sites. Encouraging the conservation of rock art resources for future research, public interpretation and enjoyment. Providing training for individuals and groups through hands-on rock art recording and rock art cultural resource management. Encouraging respect, appreciation and a better understanding of California’s cultural heritage with a specific focus on its remarkable rock art resources (including pictographs, petroglyphs, portable rock art, geoglyphs, and rock alignments). Representing the concerns of California rock art professionals before government commissions and agencies, and with legislation. Recognizing the significance that many rock art sites possess special importance to particular ethnic groups and local communities (including and importantly Native Americans). Discouraging vandalism, theft, and exploitation of rock art resources. ​​Would you like to know even more about the Foundation? You can download our brochure. Thank you to William Hyder for the "About Us" header and "Home" page logo photograph.